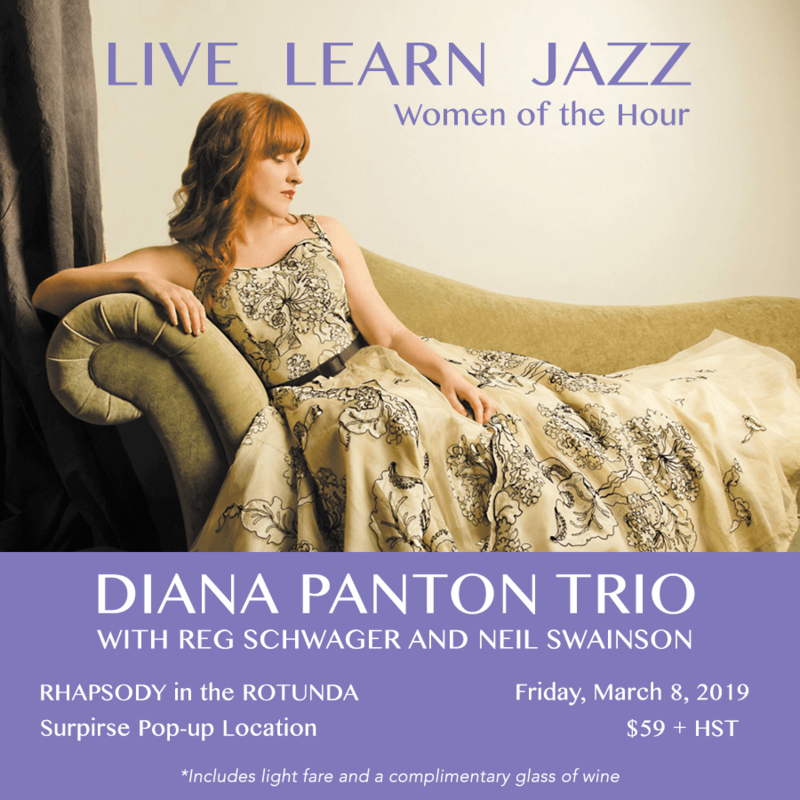 Juno Award winning Diana Panton has quietly become one of the brightest lights on the jazz scene today. Her ethereal voice and strong aesthetic vision have earned her numerous honours, including two JUNO wins, five JUNO nominations and two Silver Disc Awards in Japan. All eight of her critically acclaimed self-produced albums have been highlighted on year end jazz lists, including those of DownBeat, Japan’s Jazz Critique Magazine, Radio Canada’s ICI Musique, NOW Magazine and The Montreal Mirror. Panton’s albums have made the bestseller lists in Hong Kong, Japan and Taiwan, as well as #1 on Amazon and iTunes in Canada and the US. Panton has appeared on the magazine covers of NOW, VIEW, InRetro etc. She was one of four vocalists selected worldwide to perform in France at Jazz à Juan Révélations where she was voted Première dauphine by the Juan public. With a growing international following, this vocalist is definitely a star on the rise and a singer to watch (and listen for). Panton “defines tonal sweetness and purity of expression” (Frank-John Hadley, DownBeat). A leading figure of the Toronto jazz scene, Reg Schwager is a four-time winner of Canada’s National Jazz Award for Guitarist of the Year. Born in the Netherlands, Schwager moved with his family to Sudbury, Ontario when he was six, and by age 15 he was playing jazz gigs. From 1994-2004, Schwager worked with George Shearing. He has also performed with Diana Krall, Peter Appleyard, Rob McConnell and many others. He can be heard on more than 100 recordings with artists including Junior Mance, Gary Burton and Mel Tormé. CDs releases under his own name include Duets, Chromology, Border Town, Resonance and – along with bassist Don Thompson – Live at Mezzetta and One Take: Volume Three. Reg appears on all of Diana Panton’s releases. Neil Swainson is among the most respected and accomplished bassists on the jazz scene today. In the 1970s he began playing with Canadian greats: Moe Koffman, Ed Bickert, Rob McConnell, Peter Appleyard, and many others. He has worked countless notable artists, to name a few: James Moody, George Coleman, Jay McShann, Tommy Flanagan, Lee Konitz, Joe Farrell, and Slide Hampton. Widely recorded, Neil’ s first recording as a leader, 49th Parallel, features Woody Shaw on trumpet and Joe Henderson on saxophone. Valued for his intuitive accompanying skills, harmonic depth, and technical prowess, Neil also caught the ear of the great pianist George Shearing. In 1986 they established a bond that continued until Shearing’ s passing in 2011. They performed and recorded worldwide, also with many other great artists, such as Mel Tormé, Joe Williams, Nancy Wilson, Robert Farnon, and Diana Krall. Neil is the recipient of numerous awards, and he continues to compose and freelance extensively in Toronto.